Are Smart Glasses Ready To Succeed In 2018? It’s been six years since consumers met Google Glass. To put it nicely…they were a flop (more on that in a bit). But we’ve come a long way since then. We now have fitness trackers, smartwatches, and even smart shoes. Wearables are getting more convenient and less obtrusive every day. Now, innovators are looking to strap something to our eyes. The overwhelming chatter in technology for 2018 is about glasses that will do more than help you see better. But before we dive into what’s coming, let’s lay some basic groundwork. Most smart glasses run on motion-detection sensors: They detect movement, personal gestures, and know to power up when a user puts them on. When the user takes them off, the glasses power down. Most designs have built-in microphones for answering calls and are programmed with a touch-based interface within the frame. They even have apps that can be remote controlled from your smartphone or smartwatch. The new debate is over the superiority of augmented reality (AR) glasses to smart glasses. Augmented reality is when something is shown on a screen (or glasses lens) that adds to what is physically there. Pokemon Go is the easiest example. Users look at the surrounding physical environment through their smartphone and digital Pokemon characters are projected onto that physical environment. To be clear, AR is an upgrade to smart glasses – they are not their own product. Typically, smart glasses let you track your activity and complete other tasks, but most of that information is relayed to a smartphone application. The newest technology, AR-enabled smart glasses, lets you transfer information from your computer or smartphone to your glasses. Though Google Glass initially failed, it didn’t die entirely. Once the consumer version was dumped in 2015, Glass was reworked for enterprise customers. They adapted the Glass for doctors, aviation mechanics, and logistics workers. 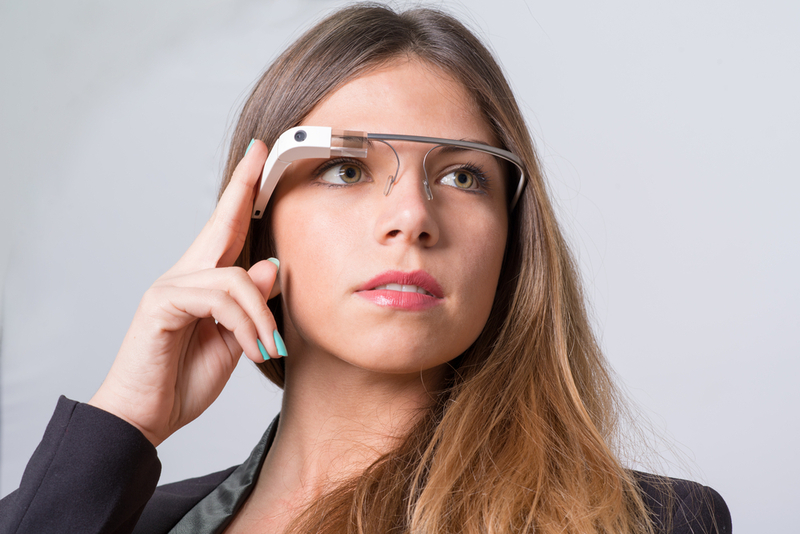 Lots of improvements to tech since 2013 have led to a resurgence of interest in Google Glass. Voice-activated assistants are competent at recognizing commands, completing tasks, or locating relevant information. Display technology is also better and not so awkward. Previously, you had to look at a full screen worth of content in front of your eyes. In the 5 years since Google Glass was released, there have been other attempts in the smart glasses market – though these competitors only lasted a short while. Google started by advertising Glass as experience augmentation. The 2012 ads began with physical activities and eventually showed “user-friendly information instantaneously appearing on screen during everyday activities.” But the tech needed lots of battery power, better image-recognition, and tons of data. Glass was a supplement to reality – not an augmentation. The product let users check email, look at photos, and search the net. The problem was that Glass was competing with devices that delivered superior cameras, more capacity and faster processing. And it didn’t help that Glass retailed for $1,500 and wasn’t particularly successful in accomplishing its tasks. Google then tried to rebrand as a fashion design choice. Glass appeared at Fashion Week and in advertisements. Google made the mistake of marketing it as the latest and greatest tech, rather than promoting it as the prototype it actually was. As with any and every new product on the market, smart glasses have their pros and cons. More Immediate: The smart glasses tech responds instantly to its environment. Rather than waiting for an app to load, the display gives you the information you need. No wasting time looking through apps or trying to get your phone out of your pocket or handbag. Allows You to Stay Better Engaged with Your Environment: Wearable tech is far more convenient and does not force you to disengage from human contact to find information. It is possible with these glasses to receive a text or email and not have to stop your current conversation. More Discreet: The discretion afforded by wearable tech is terrific. For instance, you will see incoming calls rather than disrupting a conversation with a ring tone. Potentially More Fashionable: Aesthetically, smart glasses far outstrip tablets, smart watches, and smart phones. Buyers are looking for tech that will compliment their wardrobe, accessories, or even their facial structure. Less Versatile: Though it has great potential, this wearable tech has some definite limitations. For instance, you can’t write an email or respond to a text with smart glasses. Smaller: Wearable tech will always be smaller than other digital devices. This will make it hard to do things like surf the web. Not As Widely Accepted: For the moment, wearable tech is seen as belonging to outliers, not mainstream people. This will change as time moves on and wearable tech becomes more commonplace. There also seems to be a sector of tech gurus who think that while this sort of wearable technology seems like a natural progression from phones that we hold in our hands, these glasses may not be as discreet while in conversation. Their experiences with smart watches versus smart phones have led them to proffer the opinion that these smaller tools are just as distracting, if not more so, than a smartphone. Just five short years after the release of Google Glass, hardware brands are almost ready to bring a consumer-friendly pair of smart glasses with AR display to the masses. Intel launched an impressively light, regular-looking set of smart glasses called Vaunt. These glasses have plastic frames and weigh far less than Google Glass – just over what a normal pair of glasses weigh. The electronics are engineered into the stems and control a low-powered laser that shines a red, monochrome pixel image into your eye. Vaunt’s primary use is to provide relatively simple notifications. Intel claims that the glasses are stealthier than a smartwatch and allow you to check notifications while pursuing other activities. Though you could worry about having a laser beamed into your eyeball, “…it is so low-power that it’s at the very bottom end of a class one laser,” Intel New Devices Group’s Mark Eastwood said. The display is unobtrusive, not even visible unless you look directly at it. As it’s beamed onto the back of your retina, it’s always in focus, regardless of whether you have prescription or non-prescription lenses. The Vaunt doesn’t have a built-in camera like Google Glass. But, it does have Bluetooth to link with a smartphone, a processor for apps, and a compass and accelerometer to tell Vaunt where you are and what you are looking at. Vaunt models of the future may have a microphone accompanied with a voice assistant, like Siri or Alexa. To give commands, Intel wants Vaunt to have “no social cost.” In other words, Vaunt should be able to be controlled with simple movements of the head that are not distracting during a conversation. When it comes to apps, Intel highlighted that Vaunt is designed as an open platform. Intel is preparing to “launch an early access program and SDK so that developers can discover for themselves what they can do with it.” While most apps will be run by a mobile device, some apps or features could come directly from the glasses themselves. But it’s not just tech-lovers who will be using smart glasses in the future. The technology has real-world applications that can aid many people. Police officers in China use smart glasses with facial-recognition technology to identify and capture criminals. The China-based firm LLVision created the GLXSS Pro smart glasses, which look amazingly similar to the Google Glass. The glasses “match photographs taken of people in crowds with the information on a police database, according to recent news reports.” Their initial use began at the Zhengzhou railway station this year. At this time, 26 cases of identity fraud have been detected thanks to the GLXSS Pro smart. The Asia Pacific region is also in the smart glass game. A Japanese company is in the process of developing assisted-reading smart glasses to help dyslexic and visually impaired people. The OTON GLASS translates visual words into sounds. The glasses use a Raspberry Pi computer, two cameras, and an earpiece embedded in the frame to perform this action. But, the Americans have not fallen behind. Vuzix, based in Rochester, New York, presented its Blade glasses at this year’s Consumer Electronics Show. The hope is to unveil the consumer version for $1,000 as soon as possible. Experts agree that the Blade glasses are impressive. 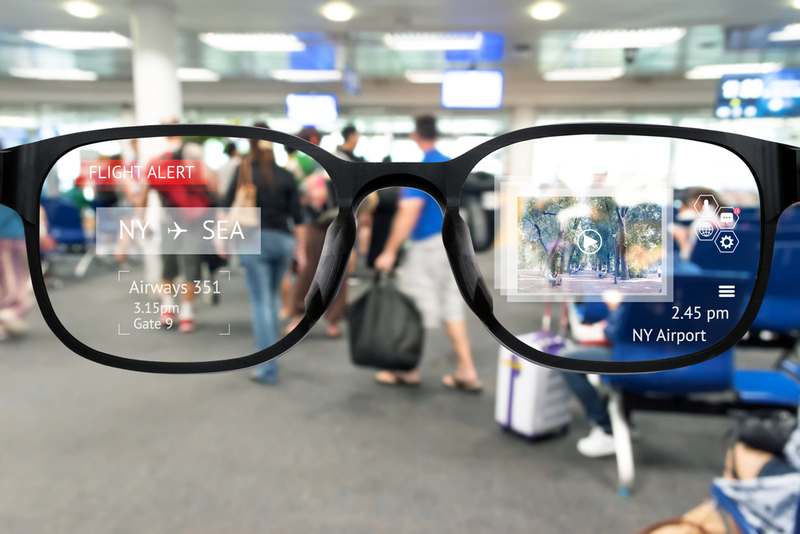 Vuzix Blade™ is an augmented reality smart glass that offers users a smart display and a see-through viewing experience. Vuzix has launched other types of smart glasses including the Vuzix M300 and Vuzix M100, both of which are used more in industrial and enterprise fields. Vuzix Blade is evidence of the company trying to delight the general public with its distinct design and enticing features. The wearer can access mapping directions, weather information, restaurant ratings, law enforcement alerts and many other apps without the need to check a smartphone. The smart glasses are even paired with Android, iOS, and Wi-Fi. Vuzix recently announced that their Blade smart glasses now include Alexa Amazon integration and Alexa-enabled technologies that allow users to communicate with it hands-free. 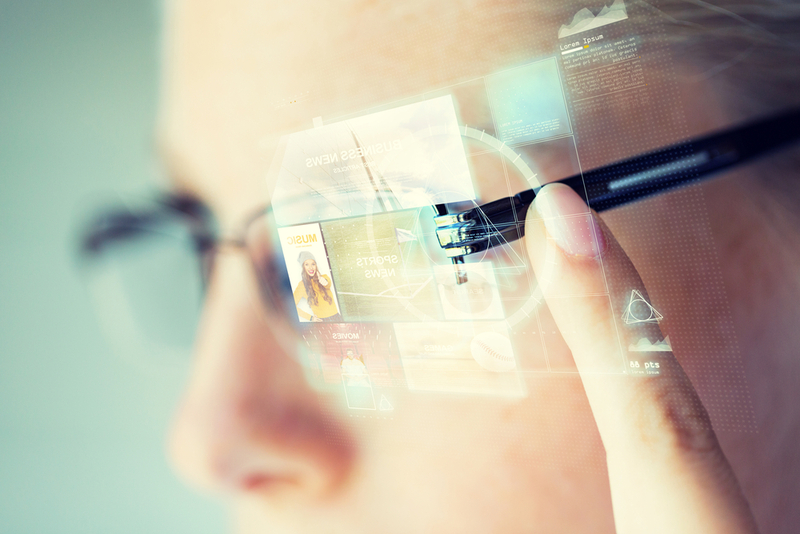 It is clear from the research that wearable tech like smart glasses is still in the innovation and development stage. They are not quite ready for public consumption and the manufacturers and designers still have a long way to go. 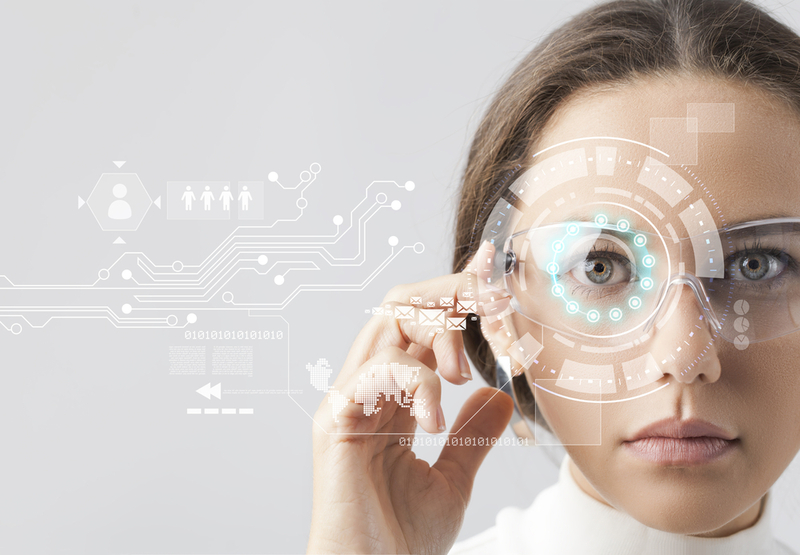 While the idea is intriguing, and potentially a worthy breakthrough in smart technology, it may be years before smart glasses are a part of the common man’s everyday life. Nevertheless, it seems inevitable that at some point, smart glasses will be a widespread reality. Hopefully, it will be sooner rather than later. I would like to have the smartphone’s screen projected righ in front of my eyes, so the smartphone itself could have no screen at all and be much smaller as a result.